According to Doerr,10–12 arteriosclerosis develops only when suitable conditions exist. These are de-fined first by a vascular wall factor; second, by a so-called general factor, meaning the hemodynamic and humoral load on the vascular wall; and third, by a barrier factor. The latter is responsible for plasma infiltration and leads to further transformation of the vascular wall. Doerr is of the opinion that fat accumulation in the plasma, as in nutrition atheroma, leads in humans to the so-called storage xanthomatosis, but not to atherosclerosis. 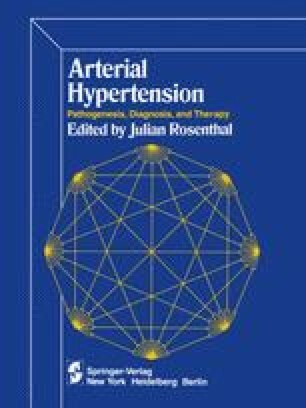 Furthermore, according to Doerr, a simple elevation of blood pressure without any general metabolic disorder does not cause arteriosclerosis. A slight relaxation of the internal stability of the arteries would have to be present. More intense forms of sclerosis ensue only if several factors coexist.